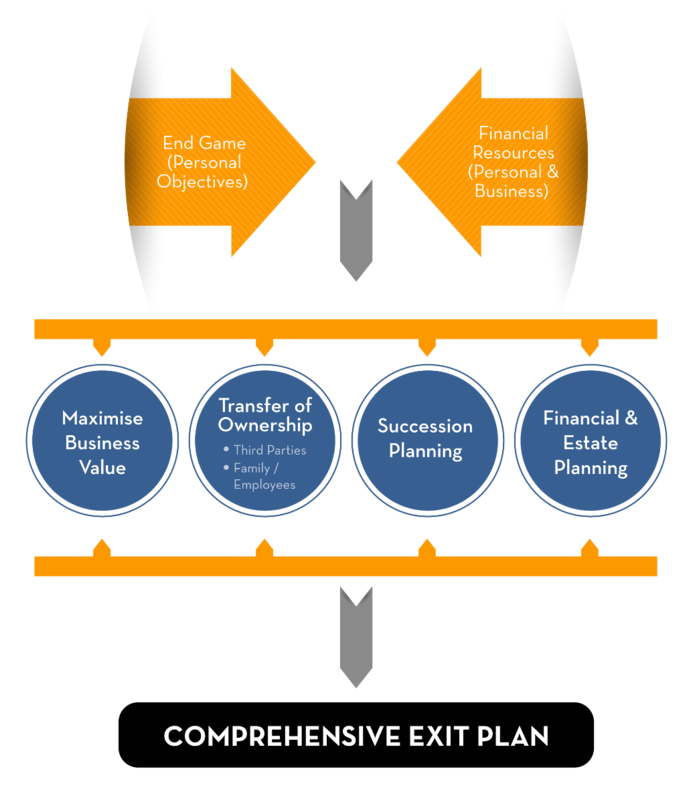 WHAT IS BUSINESS EXIT STRATEGY AND EXIT PLANNING? At some stage in your life, you will move on from your business. It is common sense to plan ahead, but this doesn’t mean that everyone does it. Transition, Business Exit Strategy and Exit Planning is about maintaining control over how you leave, when you leave and on what terms. It is making decisions about who will lead your business and how you will get the most out of your exit. 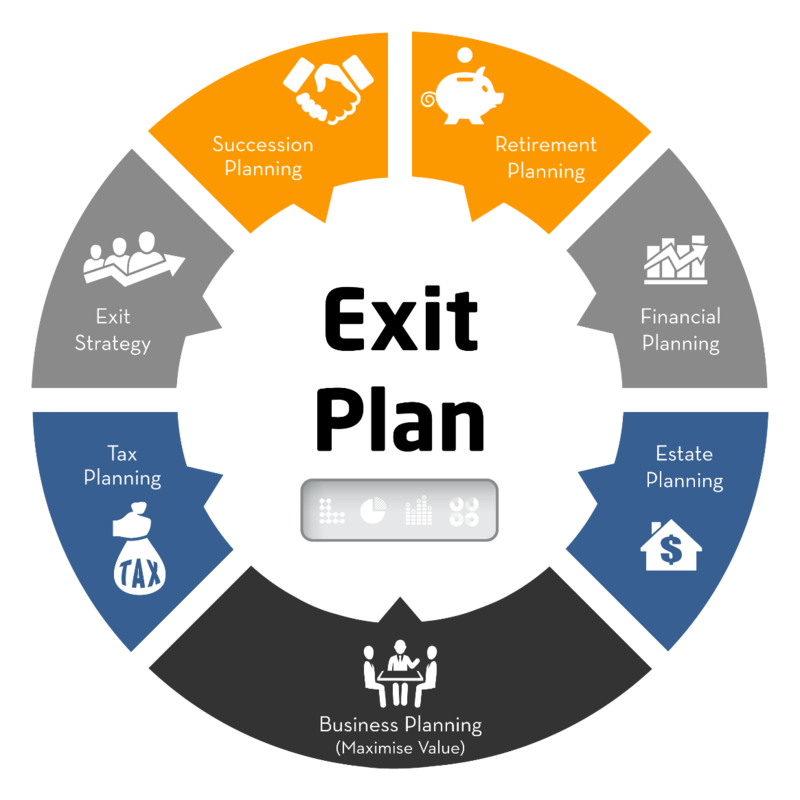 Business Exit Strategy & Planning is the process of creating a comprehensive roadmap that brings together your personal objectives and financial resources by focusing on how to maximise the value of the business, how ownership will transfer, who will succeed you and how you will fund your future lifestyle.